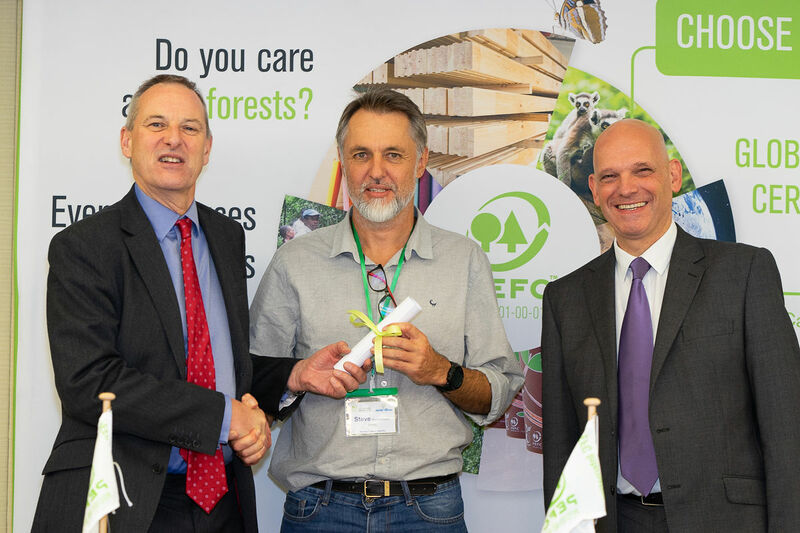 Johannesburg (22 November 2018) – On 14 November, at its general assembly in Geneva, the Programme for Endorsement of Forest Certification (PEFC) announced its endorsement of the South African Forestry Accreditation Scheme (SAFAS), a local initiative that seeks to make forest certification more accessible to small-scale timber growers. As the demand for sustainably produced and certified forest products increases, both abroad and locally, certification is becoming a trade barrier to small-scale forestry units and emerging timber growers. “It is these farmers that most need support, access to markets and development to ensure a vibrant sustainable forest industry that promotes social development in poor rural areas,” notes Craig Norris, SAFAS national governing body member and forest technology manager for NCT Forestry. In South Africa, about 80% of the plantation area has been certified to the generic international Forest Stewardship Council (FSC) standards. “While these standards are internationally recognised and generic, they are also expensive and not well suited to small-scale timber growers, which means that only large organisations tend to certify their plantations,” explains Norris. 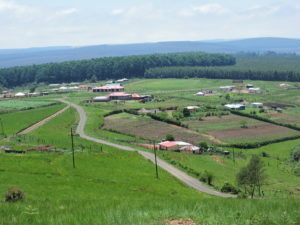 Over four years ago, a small working group from the South African forestry industry got together with the vision of developing a forestry standard and certification scheme that would be directly applicable and appropriate to commercial plantation forestry in South Africa. Using the Government’s Principles, Criteria, Indicators and Standards (PCI&S) for sustainable forest management as a starting point, and through much consultation, negotiation and testing, SAFAS was born. The process was in accordance with the requirements of the PEFC with the intention of obtaining this international endorsement and recognition. “All that remains to be done before the system can be fully implemented is to get an accreditation body to approve certification bodies that can carry out audits against the standard,” says Norris. Various options are being pursued by the SAFAS national governing body. Steve Germishuizen (centre), member of the SAFAS national governing body, receives the SAFAS endorsement certificate from Peter Latham (Chairman of PEFC board) (left) and Ben Gunneberg (CEO and secretary general of PEFC) at the recent General Assembly meeting in Switzerland. The South African Forestry Accreditation Scheme seeks to make forest certification more accessible to small-scale-scale timber growers. The locally developed forest certification scheme will assist small-scale timber farmers by facilitating access to markets, thus ensuring a vibrant sustainable forest industry that promotes social development in rural areas. Sappi Typek launches new brand campaign – live a life of note	Calling all teachers (and parents): Show our forests some love and win a trip to Rome!